Alex Wakefield lived his first 16 years in Germany. 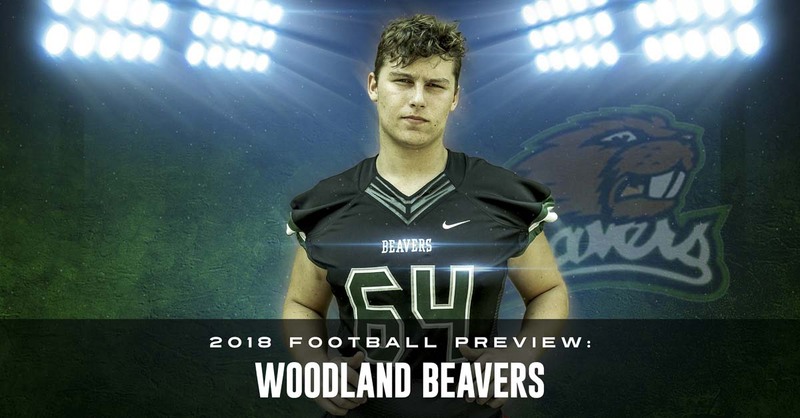 Now living in Woodland, he has picked up American football and is one of the team’s top offensive linemen. Photo by Mike Schultz. Edited by Andi Schwartz. 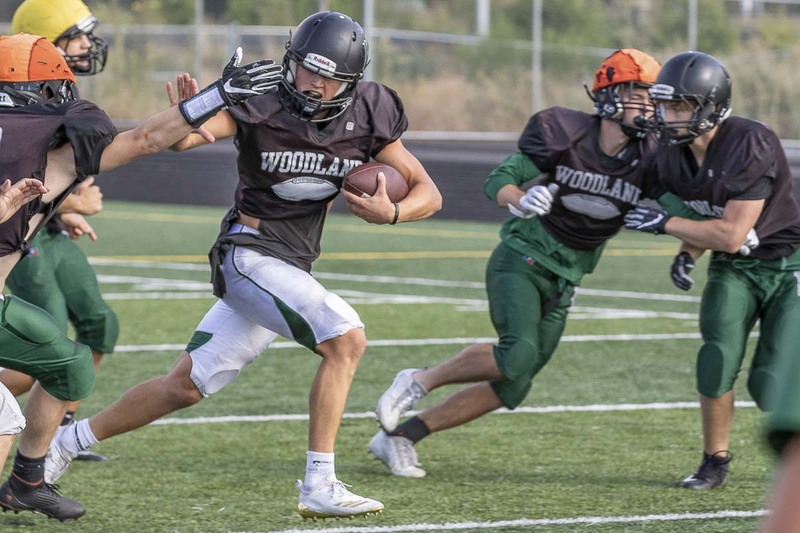 WOODLAND — Alex Wakefield still calls it American football because where he was raised, that is what it was called. The sport is not as important in Germany as it is here, but he did play the game for a bit before moving to America two years ago. Clearly, then, he is a natural. Or he is quick to adapt. Probably a little of both. 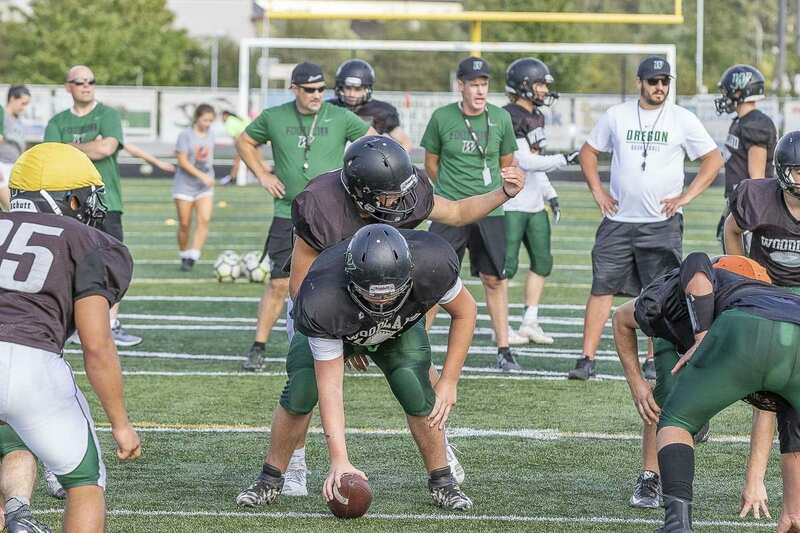 He played junior varsity as a sophomore at Woodland, then made an impact last year as a varsity lineman. “I don’t want to be cocky, but I feel I’m pretty good at it,” Wakefield said. He is good at transitions, too. After all, Wakefield has adapted to his new home, a new school, and a new community. Today, his English is solid. Every once in a while, the German accent sounds, giving a listener a hint that he is not from the Northwest. Yes, he took English classes in Germany. And his father is an American. But he mostly spoke German. A good student in math, he said he struggled early at Woodland in his English class. He is proud to say he got an A in the subject in his last grading period. A fast learner for sure. 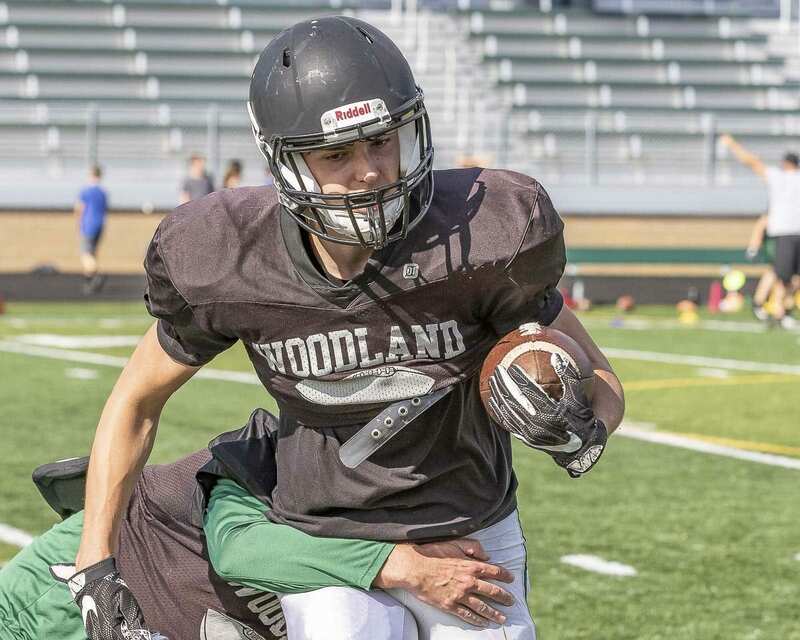 He was late to the school year as a sophomore at Woodland, then went out for football. He played JV ball. A year later, he was starting on varsity. At 6-2, 230 pounds, Wakefield said it is his footwork that has led to his success in football. The first step while protecting a quarterback is key, for balance and then for leverage. He did play a lot of soccer in Germany, so maybe that was a benefit to American football. In Germany, Wakefield watched American football once a year — the Super Bowl during the early morning hours. That was it. Now, he is all in with the game. “In football, the coaches gave me the chance to get better,” he said, praising the Woodland staff. The game also helped with his big move to the United States. His father, Lincoln, played and graduated from Woodland. Lincoln was in the Army when he met Petra. They married and had Alex and lived in Germany for Alex’s first 16 years. The marriage ended and Lincoln planned on moving back to Washington. Still, it was tough leaving his mom. And all of his friends. The internet, though, keeps everyone in touch, he added. Joining the football team as soon as he arrived was another life-changing decision. He said he has so many friends because of the game. A year ago, the Beavers tied for second in the Class 2A Greater St. Helens League, then lost a heartbreaker in the district playoffs. They also gave state champion Hockinson its closest battle in league play. 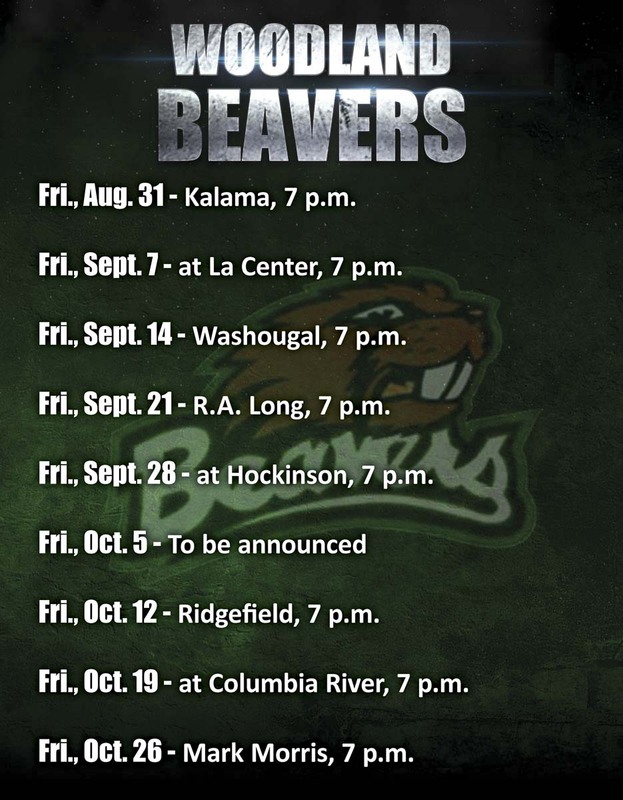 Wakefield said this is the year the Beavers should take another step in becoming a great program. “It’s our senior year. We all have the drive to make big things happen,” Wakefield said. He added that the team is talented enough for a state championship. OK, that might be a huge stretch, considering Woodland has not won a state playoff game since 1984. But Wakefield and the Beavers love the mindset. They have to think big. They witnessed a team from their league win it all a year ago. 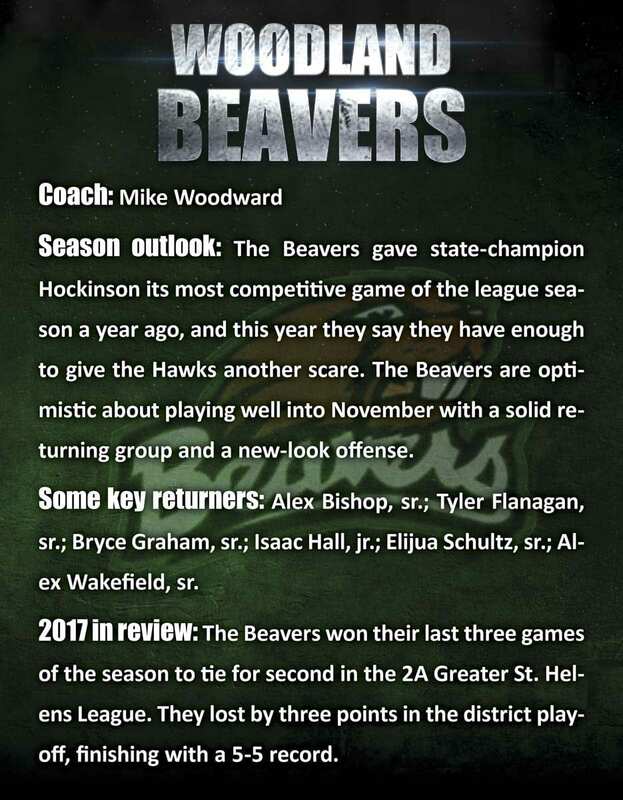 The Beavers respect Hockinson but are not afraid to battle them. See? That did not take long for Alex Wakefield to learn the first thing about having success in American football. One must believe in his teammates and believe in himself. Alex Wakefield challenged himself when he decided to move to a new country at the age of 16. He has found success on the football field and in school, making new friends, creating new memories. In so many ways, he has already won.